Proving fault in a car accident is not enough to prove one is entitled to monetary compensation. One must also prove causation. This means the person injured has to show that it was defendant’s breach of duty that caused plaintiff’s injury, and not some other intervening action or inaction. 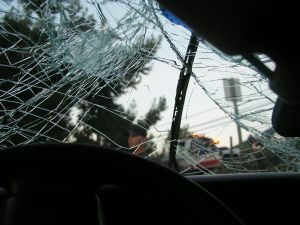 In the recent case of Finkel v. Batista and Sanchez, the issue was whether trial court erred in granting a new trial after defendant was found 100 percent liable for a car accident, yet plaintiff was awarded $0 in damages. The court was basing its decision on the precedent set in the 1997 case of Sparks-Book v. Sports Authority, Inc., wherein the Third District Court of Appeals decided as a general rule that plaintiffs should at least be able to recover medical expenses for diagnostic testing reasonably necessary to determine whether an accident caused injury. However, the 3rd DCA, in weighing Finkel, reversed, noting there are exceptions to the general rule and there was sufficient evidence to support the verdict of the jury. Further, plaintiff might have valid grounds to assert a new trial on the basis of a verdict form that indicated the jury should return a verdict that was “all-or-nothing.” The problem was, plaintiff’s counsel never objected to that verdict form, and thus she lost the right to fight it on appeal. 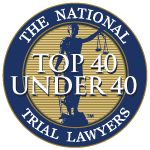 This case underscores just how important it is to hire an experienced legal team in your car accident case. According to court records, plaintiff and her husband were involved in a “fender bender” with defendant. Plaintiff and her husband filed a lawsuit against defendant and his mother, who was the owner of the vehicle and thus could be held vicariously liable for the actions of the person she trusted to drive it. The court bifurcated the trial into two parts: The first on liability and the second on damages. On the issue of liability, jurors assigned defendant 100 percent fault for the crash. The next phase of the action was a trial on whether the crash caused injury loss or damage to plaintiff. Both defendant and plaintiff presented expert medical opinions to back their assertions. Plaintiff’s expert witness was an orthopedic surgeon who was treating her. He opined plaintiff suffered partial, permanent injury to her lower back. However, when cross-examined, it was revealed plaintiff did not disclose other accidents to this doctor. Specifically, after the accident in question, she suffered injury in another car crash and then subsequently in a slip-and-fall accident. Both these incidents occurred after the first crash, but before she started seeing the orthopedic surgeon. The surgeon who diagnosed plaintiff said on the stand that if he’d been aware of them, he might have changed his opinion about whether the first accident caused plaintiff’s injury. Trial court granted plaintiff’s motion for a new trial, but the 3rd DCA reversed. The court took note of the conflicting medical expert opinions, including testimony of the orthopedic surgeon, which indicated plaintiff had not been candid with her doctors. As for the jury instruction, the court said jurors can’t be faulted for doing exactly as they are instructed to do. If there was a problem with the verdict form, it was up to the respective attorneys on either side to object to it.